This is our new favourite. 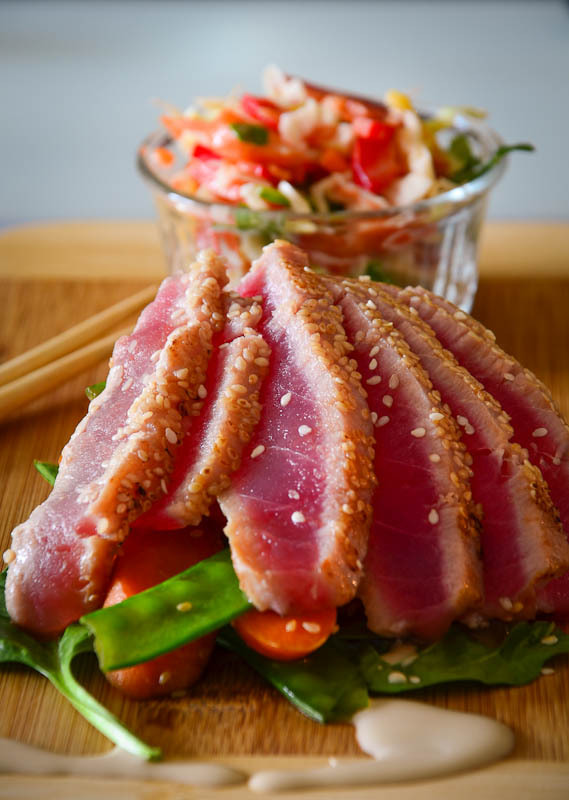 The tuna needs to be super fresh because it is being seared and will not cook very long. You can lightly brush the fish with fish sauce or a light miso mix before pressing fish in sesame seeds. The best pan to use is a skillet that is heated in the oven before putting the fish in. You want the pan to be very hot to avoid having to leave the fish on too long. The middle remains uncooked. It is very important to use good quality fish when searing.